Murphy, Taylor, Siemens & Elliott P.C. 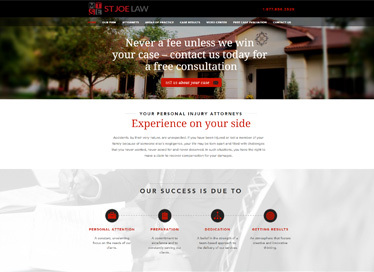 was formed in 2002 out of a vision by Ed Murphy, Mike Taylor, Ken Siemens and Joe Elliott that a small, full-service law firm could achieve top quality legal results for its clients in an efficient and economical manner. Coming off some of the greatest courtroom victories in their legal careers, including a $60 million settlement of a large commercial litigation matter, Murphy, Taylor, Siemens & Elliott P.C. formed their new firm on the backs of their reputations as some of the top litigators in the Midwest and the results that backed up that reputation. Since 2002, Ben Creedy and Nancy Blake have joined the firm after they achieved a high level of success in law school. Both have made significant contributions to the firm and have become accomplished litigators in their own right. Many of the firm’s clients have realized tremendous results from their efforts. With over 100 collective years of practicing law, Murphy, Taylor, Siemens and Elliott P.C. has continued its record of achieving successful results for its clients. We truly care about our clients and take the time to get to know them and understand their circumstances.